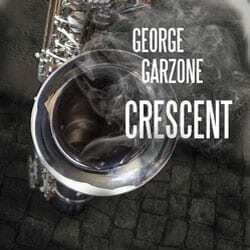 Garzone is one of the few saxophonists on the planet who can do justice to the Coltrane tradition while maintaining his own unique voice. Crescent is a very fitting name for this recording! George is also recognized as one of the great educators in jazz and is teaching at Berklee College of Music and has taught at NEC. His students are among the best--Joshua Redman, Branford Marsalis, Seamus Blake, Mark Turner, Donny McCaslin to name a few. This new album is truly a great listen.